St Kevin's is a Catholic Primary School nestled in a beautiful valley in Lower Templestowe with large tree lined grounds and flexible learning spaces. We have access to the extensive facilties that city living offers while maintaining a peaceful natural environment. 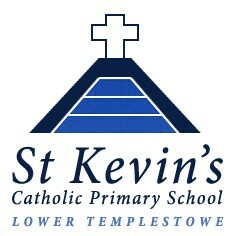 Our school size ensures a caring friendly community where each child is known and valued by all of the dedicated members of St Kevin's Staff. Our daily focus is to create an excellent teaching and learning community for all. We are committed to developing children with a healthy mind, body and spirit who develop a love of lifelong learning within a catholic faith setting. To this end we provide a contemporary, engaging, challenging, safe and happy environment for the children in our care to achieve their full potential. Templestowe College is a place of rapid growth and change. We are seek-ing to be a school at the cutting edge of educational change in Australia, but at the same time not abandoning the best aspects of traditional schooling. We are committed to a student centred approach to education and attempt to personalise each student’s learning experience wherever possible.